Moving season is upon us! That’s right, April-September is peak moving season, which means it’s time to pack up those boxes and pour them into a U-haul. Oftentimes, the only thing more frustrating than packing and moving is deciding where to put everything. When you move into a new space, you’re instantly flooded with the number of possibilities. An empty room allows our imagination to run wild, and we try to imagine how perfect we’re going to make our home look. But, once you get down to organizing, you realize some of your visions were a bit idealistic. Fortunately, there are ways to avoid this and to make planning your home’s new layout a breeze. The easiest and most accurate way to plan out your home’s layout effectively is a floor plan software. There are plenty of free trials you can use online that will allow you determine the shape and approximate size of each room, and place basic furniture pieces. There are even computer and video simulation games that allow you to do this. They can be both entertaining and productive as you determine how the layout works on-screen before you put it into practice. And, trust us, it will be worth saving yourself the labor. Many floor plan softwares allow you to input exact measurements of room and furniture, making it even more precise. 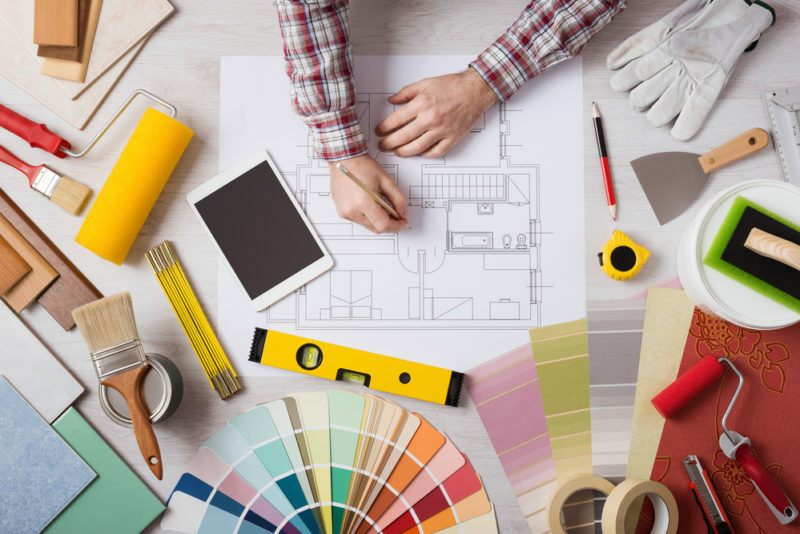 If you’re looking for a less involved way to plan out your room, simply determine what the main focus of each room will be, and then plan around that. This means, place the largest pieces of furniture first. In the living room, this is probably your sofa. In the dining room, your dining table. In the bedroom, your bed. In the office, your desk. Place these pieces of furniture first, and everything around them should fall into place. Measure out the length and width of your furniture items, and cut pieces of painter’s tape equivalent to that. Cut one strip for length, another for width, and combine them into an ‘x’ for maximum accuracy. Label the pieces of tape by the item they represent and place them on the floor where you want each item to go. This is an easy way to arrange and re-arrange the layout, as well as block where the pieces will exactly go. Once the largest pieces are accounted for and you’re happy with how the tape represents the room layout, begin moving the furniture pieces into their place. Planning your room layout upon moving in will save you major headaches later on. There’s nothing like arranging all your furniture, only to realize your couch should be placed at another angle or your bed is too close to the wall. Forego the trial and error method with a little more preparation.